Medill News Service journalist Colleen Zewe is embedding this spring as a reporter with with sports medicine researchers at the University of Pittsburgh School of Health and Rehabilitation Sciences Neuromuscular Research Lab as they enhance performance for warriors and athletes. At first glance, the University of Pittsburgh Neuromuscular Research Lab seems more like a gym than a laboratory. Treadmills, stationary bikes, weight racks and kettlebells all line the walls of the lab, which sits in a sports medicine hub of Pittsburgh. Just a few steps away, the University of Pittsburgh Medical Center Rooney Sports Complex welcomes the Steelers to practice and train. But the Bod Pod, underwater treadmills, and an array of experiments hint that these workout machines aren’t used for regular exercise. Instead, they’re measuring warrior performance – the performance of military personnel. NMRL is also Pitt’s Warrior Human Performance Research Center. The researchers strive to optimize the performance of those who are quite literally human warriors: military personnel, athletes and other active populations. The black padded floors may be home to fitness equipment, but interspersed throughout the lab are biomedical tracking devices as well. NMRL is the Department of Sports Medicine and Nutrition’s applied research facility. The lab contains equipment that measures everything from body fat to how the immune system responds to exercise. One NMRL highlight includes a swimming flume – a small pool that has water flowing at a constant speed. The flume acts as a swimming treadmill. The swimmer swims through a current, similar to how you would run on a treadmill. You can swim miles without actually moving an inch. In addition, NMRL has a literal underwater treadmill they can place in the flume to measure body responses and neuromuscular movement underwater. This allows them to mimic the conditions and distances U.S. military members may experience in the water. NMRL also can use high-tech fitness monitors to measure heart rate, heart rate variability (the variation of time between heart beats), skin temperature and accelerometry, or how fast body parts accelerate during movement. The center also houses a biochemistry lab where blood, urine and saliva samples collect data. They can measure body responses to different exercises and movements, including immune, cardiovascular and hormonal responses. The researchers at NMRL come from a variety of disciplines. 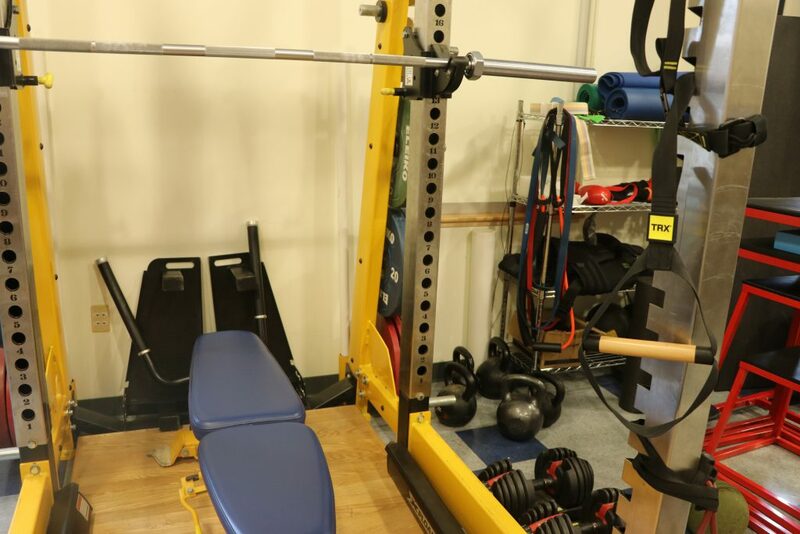 Meaghan Beckner, a current Rehabilitation Science doctoral student, described the lab as a “melting pot” of research fields, including nutrition, sleep science, sports medicine, physical therapy and epidemiology. NMRL also provides several health and fitness testing services to the public. Patients can sit in the egg-shaped Bod Pod chamber to find out their body composition, or how much fat they have in comparison to different parts of the body, such as bones, muscles and organs. For a more complete composition report, the Dual Energy X-Ray Absorptiometry, or DEXA, scan measures body fat and a complete breakdown of how much muscle, bone mass and tissue are in the body. Patients can also take a resting metabolic rate test. After lying down and breathing into a mask for just 30 minutes, patients can find out how many calories they burn in a day just resting. While much of the research at NMRL involves soldiers and athletes, it can benefit even the average person trying to stay healthy. Beckner is interested in how stressors such as sleep deprivation and calorie restriction can impact physical performance, but it’s not just soldiers who experience these stressors. Even the average college student can feel the effects of not eating well or getting enough sleep. “Hopefully, we can shed light on the importance of sleep and proper health, and when that is altered, how that physically has a toll on the body that may not be evident at face value,” she said. Of course, these are just a few of NMRL’s numerous capabilities. In the coming weeks, I will report more about their past and present research, and you can get to know how the various technologies here all work together to benefit everyone from top athletes to the everyday person who wants to live well.